Birth in Massachusetts, 1802. To Kentucky with uncle, 1813. To Pomfret, New York, 1815. Bought sawmill and built house, 1823. Marriage, 1826. Inventor. ("In the year of 1829 I invented and patented the shingle cutter machine now used for making or cutting shingles throughout the United States and Canada.") Move to Amherst, Ohio, 1830. Conversion to Mormonism, 1831. Mission to relatives in New York. To Kirtland, 1832. ("President Smith counseled me to move to Kirtland and buy out certain obnoxious individuals, which I did.") Built sawmill to assist in construction of temple. Mission in Ohio, 1835. Dedication of Kirtland Temple, 1837. With Kirtland Camp to Illinois, 1838. Stopped at Springfield, led branch. To Carthage ("The Lord showed me by revelation"), led branch, 1839. Ordained stake president, 1840. Death of wife and remarriage, 1840. Stake disorganized ("on account of a secret organized band of false brethren, that had crept in amongst us.") Marriage to plural wife, 1845. From Nauvoo to Knox County ("where I had claim on an eighty acre soldier right of land"), 1846. Trek west to Utah, 1847. Bishop of Mill Creek Ward, justice of peace. Member of legislature, 1849-50. Called to help form settlement at Parowan, 1850. Mission to Iowa and Nebraska, 1857-60. Another marriage, 1860. Move to Dixie, 1861; moved to North Creek, then to Virgin City, finally to Bellevue in 1868. Testimony of mission of Joseph Smith. Wrote about 1,000 hymns, mostly unpublished. Farm work. Poor health. Wrote letters and poetry. Some discouragement. Blames "his Satanic Majesty." Sense that life is drawing to a close, 1860. References to lies about himself. Work in mill. Much puttering around the house. Has a store. Rowdies demand liquor, one drawing a knife. ("I caught hold of a Shovel which lay near at hand and drew it up and told him if he came any nearer I should knock him down with it.") Lonesome, depressed. Printing shop established. Issued Huntsman's Echo. Fled into hiding on Grand Island when heard that he would be arrested, possibly for selling whiskey to Indians (denied) or for having Margaret for housekeeper. Great sense of persecution. Forgives enemies, does not wish revenge. Worked on Huntsman's Echo, ("a paper published at this place by my Brother.") Sold goods to emigrants. Trip to Omaha to buy outfit. Encountered "the first company of handcarts." Author's brother, William Johnson, had store in Florence. Set out for Utah, August. Arrival in Salt Lake, 5 October 1860. On to Iron County, where found farm and property in bad shape. Repaired house. Departure for the Virgin River, 17 December. Explored area, bought house and lot from son. Return to Parowan. Hard work, bad weather, poor health. Copied journal from "manuscripts." Jealousy among the women ("which is apt to be the case when a new one comes into a family.") Summary of activities in early 1861: established house, farm, and molasses mill in Virgin City. Notes arrival of "missionary families." Called by Erastus Snow to build sawmill on North Creek. Very sketchy, 1862-64. Indian trouble, 1865. Hard words from Erastus Snow ("he censured me very highly and said things that I don’t feel to mention") led author to leave North Creek and move to Virgin City, 1866. Floods, late 1867. Move to South Ash Creek near Toquerville, 1868. Kirtland Camp anniversary celebration, 1868. Trip to Salt Lake, 1870. Temple work. Second anointings. Family meeting at St. George, December 1870. Ordained patriarch. Family stock ranch established, failed. Sawmill on Sevier River. Much traveling from place to place. Survey for settlement at Hillsdale. Work on farm at Bellevue, 1873. Explains lack of education of children. Conference at St. George; main message was to leave Pioche alone. Poem: "To My Wives," one stanza for each. Poetry becomes quite frequent. Baptized son at age eight, 1874; predicts that "he is to become a printer and publisher not only of my Books but many others brought forth by the Saints." Entries more infrequent. Family organized into "the Sons of Joel," 1875. Several references to expectation of imminent "last days." Reference to "my Seventy Sixth Birth day Review, which is recorded in another Book." Call to gather up his family and colonize them in Arizona, 1879. Death of little son, Jeremiah. This call later revoked by Brother Snow, "who decided that I had pioneered enough and was to old to make a new Settlement in a new country." Terrible drought. Much preaching. Denounced U.S. Government's prosecution of polygamists. ("I think this Nation will beat the antediluvians or Sodomites for Seduction prostitution and Whoredom.") Deplored disobedience of family members. Sent pamphlets to Congress in Washington. A few pages missing for 1881. Holograph in very poor condition. Born in Grafton, Massachusetts, 1802. Poetry. Religious child. Became Free-Will Baptist, c. 1825. Married, 1826. Purchased farm. Invented shingle machine, 1829. Moved to Amherst, Ohio, 1830. Sawmill. Mormons at Kirtland. Converted. Baptized, June 1831. Ordained elder. Moved to Kirtland. Mission in Ohio, 1835. Temple. Endowments, 1836. Member, second Quorum of Seventy. At Carthage, Illinois, 1839. Moved to Crooked Creek, 1840. President of Crooked Creek Stake. Death of wife. Moved to Ramus, 1840. Secret combination of Saints to rob and plunder. Dissension. Stake disorganized, 1841. Martyrdom of Smiths, 1844. Married Janet Fife, 1845. Went to Knox County. Crossed plains, 1848. Settled in Mill Creek Ward. Justice of peace. Bishop. Member of Deseret's house of representatives, 1849. Called to Little Salt Lake Valley, 1850. Member of Parowan City Council, 1851. Wrote hymns. Walker War. Reformation, 1856. Trip east to investigate death of brother-in-law, Almon W. Babbitt, 1857. Apostates at Genoa [Nebraska?]. Returned to Utah, 1860. Married Margaret Threkold, 1860. Other wives. Moved to Virgin City. President of Mt. Dell Branch, 1865. Second anointings, 1870. Millennialism, 1873. Family organized as "Sons of Joel," 1875. Called to go to Arizona and live in United Order, 1879. Unable to fulfill mission. Wrote pamphlet testifying of truth of gospel as revealed to Joseph Smith. The volume in folder 5 is titled "A Journal or Sketch of the Life of Joel Hills Johnson" as is the one in folder 1. The former volume runs from 1802 to December 1859. The latter goes to 1871. It would appear that the latter volume is a copy of the former, which was then extended to cover the dozen years that had elapsed since the original journal was written. Both are retrospective to the mid 1850s. From then there are fairly regular entries until c. 1861. Then there is a summary of the decade 1861-71 which appears to be retrospective although there are some dated entries. The typescript extends from 1802 to c. 1858 and may be taken from one of the holographs here described. It is a retyping of a Federal Writers' Project typescript. Papers. Typescript and photocopy of typescript. 2 items. Born at Grafton, Massachusetts, son of Ezekiel Johnson and Julia Hills. His journal, 1802-1858, includes the following: Early life; conversion and appointment to preside over a branch at Amherst, Ohio, where he resided; missionary labors in New York State; comments on the Kirtland Temple and experiences therein; organizing the Kirtland Camp; departure from the Camp at Springfield, Illinois; missionary labors in that vicinity; removal to Commerce, Illinois; establishment of a mill in the Carthage, Illinois area; president of the Crooked Creek Branch which later became a stake with him as president; conflicts within the stake prior to its disbandment; mob actions against him before moving west. JOHNSON, JOEL HILLS (1802-1882) and ANNIE PIXLEY JOHNSON (1800-1840). Biography. Microfilm of typescript, positive, partial reel. 6 pp. Joel Hills Johnson, son of Ezekiel Johnson and Julia Hills, was born in Grafton, Worcester County, Massachusetts. His wife, Annie Pixley Johnson, daughter of Timothy Johnson and Dennis Welch, was born in Canaan, New Hampshire. Marriage and family life; conversion in 1831; activities at Kirtland, Ohio; missionary labors in Ohio; missionary experiences in Illinois; his call as president of an Illinois stake; exodus west. I [Joseph Holbrook] left Far West on the 20 Jan 1839 for Illinois. I was chosen a First Counselor to President Joel H. Johnson in the stake in Macedonia and ordained under the hand of President Hyrum Smith, Aug or Sep 1840. I removed to Nauvoo 6 Jul 1842, started for the Black River Pinery 24 May 1843, in company of President George Miller and others. Ordained High Priest in the Quorum in Nauvoo 7 Jan 1844 under the hands of Samuel Bent, V. Fulmin of the High Council, at the April Conference 1844. Was appointed and sent on a mission to Kentucky by the order of the Twelve to hold forth the reviews and policy of government by Joseph Smith. Source: High Priest Qrm Rec, organized 25 Apr 1848, SLC, Utah, LDS Arc. Source: High Priest Rec, Qrm Organized at Nauvoo, 1840, LDS Arc. JOHNSON, JOEL H. (son of Ezekiel Johnson and Julia Hill). Born March 23, 1802, Grafton, Mass. Came to Utah Oct. 19, 1848, Willard Richards company. Married Annie P. Johnson Nov. 2, 1826, at Pomfort, N.Y. (daughter of Timothy Johnson and Dimmis Welch, of Pomfret, N.Y., pioneers 1848, Willard Richards company). She was born Aug. 7, 1800. Their children: Sixtus E.; Sariah; Nephi b. Dec. 12, 1833, m. Mandana R. Merrill; Susan T.; Seth b. March 6, 1839, m. Lydia Ann Smith. Missionary to Iowa and Nebraska 1857-60; bishop; high councilor; patriarch. Member city council; chaplain of territorial legislature at Fillmore. Farmer and stock raiser. Was present at the dedication of the Kirtland temple. Died Sept. 24, 1882, Johnson, Utah. When the missionaries were called home on account of Johnston army troubles, Alburn Allen returned to Salt Lake Valley with a number of the Saints. Others had already left the place for the mountains. For a short time after that, Joel Johnson, and still later, William Poppleton, one of the original settlers of Genoa, was appointed to preside over the settlement [Genoa, Nance County, Nebraska]. The latter took charge until the place was entirely abandoned by Latter-day Saints. During the life of the settlement as a Mormon town, meetings were held regularly on Sundays and Thursday nights and the settlement boasted of a good choir. Janet Mauretta Johnson Smith first saw the light of day in Salt Lake City on December 17, 1848, just six weeks after her father and mother, Joel Hills Johnson and Janet Fife, arrived in the valley. In 1850 Mr. Johnson was called by the Church authorities to help build up the southern settlements, hence they first settled in Parowan, Iron County, and later at Johnson Springs where Janet spent many happy childhood days in the old fort. As the family always lived on the frontier she did well if she received three of four months schooling. When Janet was eight years old she was baptized a member of the Church of Jesus Christ of Latter-day Saints. Her wedding dress, which was dyed gray, was made of wool from her father's sheep. Johnson's Fort was built in the low valley between Cedar Fort (Cedar City) and Parowan as a protective stockade for the cattle from both settlements. To this spot with its generous spring, had ventured pioneer Joel Hills Johnson in the spring of 1851. He had been called to the Iron Mission, and upon exploring the area surrounding the new community of Parowan, had reached the green, grassy meadows about twelve miles to the south. Feeling that this would be an ideal spot for a farm, he stretched out his arms and announced to his companions, "Mine, all mine!" It is presumed that this early claim to the land resulted in the area being called "Johnson's Spring." Later in the same year, George A. Smith, stalwart leader of the Iron Mission, sent Mr. Johnson and his family to Johnson's Spring to build the stockade. Soon other families came—Laban Morrell, James and William Dalley and their families, Thomas P. Smith and James W. Bay, and they built the fort that for many years was known as "Johnson's Fort." An area ten rods square was laid out, and the adobes were made of the heavy clay that surrounded the place. The nine-foot-high walls were two and one-half feet thick at the bottom, tapering to eighteen inches at the top. Five adobe rooms were built in a row on the west side, the fort wall answering for the outside wall of the rooms. A two-story dwelling house was erected in the southwest corner, and a large two-story bastion with portholes to be used in defense against the Indians, stood in the southeast corner. Sheds and corrals were built on the inner east side, with a granary, blacksmith shop and chicken coop on the west and north. The well was dug in the center. Just outside the fort were planted an apple orchard and vegetable garden, and on the outer south side was the farm that was irrigated with water from Johnson's Spring. The area was abandoned temporarily in 1853 because of the Walker War, the settlers returning in 1854. By 1859 the Indians had become less troublesome, and Laban Morrell and the Dalley brothers, who had long been eyeing the fertile land on the eastern foothills, moved their families to this "summit" between Cedar Fort and Parowan, [p.137] appropriately naming the place "Summit." Other families drifted away, as well. And Johnson's Fort? As with so many other early fortifications, eventually there was nothing left to show it had ever existed. The little hamlet called "Enoch" now marks the spot, and only in the memories of the few who saw it before it crumbled into nothingness is there an assurance that it once stood, fearlessly guarding the precious cattle belonging to the early builders of Iron County. Kanab. In early 1872 Bishop Stewart spoke in the ward teachers' meeting of his hope that a co-operative store could soon be established. In the next year, with the bishop as chairman and M. F. Farnsworth, secretary, a constitution was drafted and the business incorporated for a period of three years under the name of Z.C.M.I. of Kanab. The capital stock, priced at $5.00 a share, began with $1,000, with the stipulation it could be increased to a maximum of $25,000. Owned by different stockholders, the amounts held ranged from one-half to eighty shares. Thomas Robertson was elected vice-president; Elijah Averett and Ensign Riggs, directors. The company rented store space in Bishop Stewart's home and the enterprise began under the managership of W. D. Johnson. Later a small building was constructed north of the fort. Joel Johnson was hired as clerk while W. D. Johnson remained the manager. The stock was purchased from Z.C.M.I. in Salt Lake City. —History of Kanab. Hillsdale. Joel Hills Johnson and George Deliverance Wilson established a sawmill in 1871 near the present location of Hillsdale, and were soon joined by twenty families, including those of Seth and Nephi Johnson. The latter, who discovered Zion Canyon, was made bishop of the new settlement in 1874. Recently displaced from the Muddy Mission in Nevada, Wilson, a millwright [p.497] by trade, had made a temporary home in Panguitch while searching for a permanent residence. A poor man, he had arrived with his wife and seven children, one wagon and one yoke of oxen. Johnson, who was better fixed, financed the erection of the sawmill, and built up the little village. It was given the name of Hillsdale in his honor. Four Johnson brothers, Joel Hills, Joseph Ellis, Benjamin Franklin, and William Derby settled Johnson in the spring of 1871. The town is situated northeast of Kanab, Kane County, in a canyon bordered on both sides by sand bluffs. A short distance below the settlement, the canyon opens out into the broad desert, which is bordered on the south by the Buckskin Mountains (Kaibab). Joel Hills Johnson writes in his journal: "On January 23, 1871, I was in the home of President Brigham Young in St. George. About that time the President suggested to us that the Johnson family have what was called Spring Canyon Ranch twelve miles north of Kanab, for a stock ranch and for all the family who wished to settle there and requested us to go and look at it, which we agreed to do as soon as we conveniently could." "On January 23, 1871, I started for home and arrived late in the evening having previously made arrangements to meet my brothers and some others at Virgin City on our way out to look at Spring Canyon Ranch, near Kanab, agreeable to the request of President Young. We accordingly went out and found a beautiful canyon half to a mile wide and several miles long covered with grass with small springs coming out at the foot of bluffs on each side and a small beautiful stream running from the mouth of the Canyon, with plenty of building rock, fencing timber, and fire wood, and plenty of excellent grass for meadow and stock range extending for miles around. We were highly pleased with the place and concluded to accept the President's offer. Therefore we made arrangements for some of us to move there in the spring and start a co-operative stock association for herding stock and dairy purposes." In March, Joel moved his wife, Susan, and their two boys Joel and Almon to Johnson. His brother William moved his family while his brother Joseph sent out three young men. His two [p.509] boys Nephi and Sixtus moved part of their families. Then with the tools, grain, and seeds of every kind for gardening, they went to work, planted trees, vineyards, and built cabins. Others began plowing and planting gardens. In October word came from Kanab that the Navajos were going to make a raid and the Johnsons moved to Kanab. The Navajos came, but only for a friendly visit, so the people moved back to Johnson, found water had dried up and they became discouraged; hence, they decided to go to raising stock. Later they began digging out the springs and found they had plenty of water. The land became very productive, other families began moving in and Johnson became a town. A brick schoolhouse was built which was used for church as well as social gatherings. From the time of the settlement until Aug. 7, 1877, Sixtus Ellis Johnson, son of Joel, presided over the branch. Then he was made bishop, succeeded in 1879 by William Derby Johnson. By June 1901 only a few families remained in Johnson. At the present time (1959), only a few ranches are scattered through the canyon. Mountain Dell was situated on North Creek, four miles up that stream from Virgin in a valley about a quarter of a mile wide. The settlement dates back to 1861 when Joel H. Johnson, at the request of Erastus Snow, built a sawmill in the canyon [p.540] through which North Creek emerges into the more open country below. With the help of Simon Anderson, he erected the mill, which furnished lumber for the homes in Virgin, Duncan's Retreat and Mountain Dell. He also started a nursery, where the early settlers obtained all kinds of fruit trees. Stock raising was also a principal industry. The Johnsons were the only family living in the neighborhood until 1863 when other settlers moved in and a branch of the Church was effected, with Joel H. Johnson as presiding elder. He was succeeded in 1869 by Owen Isom. The difficulty of getting water out of the Virgin River for irrigation purposes has been a long and bitter story in Utah's "Dixie." The tiny settlement Mountain Dell was no exception. In the month of August I [William Reynolds Terry] moved on a patent claim, built a cabin and fenced and broke twelve acres. April 15, 1845, our sixth child and third son, Benjamin Franklin, was born. In the middle of May 1845, I traded my mill property to Joel H. Johnson for two lots and a story and a half brick house, a good well of water and a back stone house (cellar) in the town of Macedonia for $500. In the month of September, the mob began to burn wheat stacks and turn the Saints out of doors, sick and well, old and young. We were on guard day and night, and moved most of our goods to the city of Joseph for safety, so we suffered very much at night for need of beds and clothing. My wife tied the children's bonnets and shoes on at night expecting our houses to be burned to ashes by the mobs. My father, Ezekiel Johnson, was born at Oxbridge, Massachusetts, January 12, 1776. My mother's name was Julia Hills, born at Upton, Massachusetts, September 26, 1773. They were married at Grafton, Massachusetts January 12, 1801, and I was born at Grafton, Massachusetts March 23rd, 1802. When I was a small child my parents emigrated to the state of Vermont where they lived about nine years and in the year of 1813 my parents let me go with my Uncle Joel Hills, for whom I was named, to Newport in the state of Kentucky, on the opposite side of the Ohio River from Cincinnati. In the spring of 1815, my father came and took me to Pomphret, Chautauqua County, New York, where I lived with him until I was 21 years of age, March 23rd, 1823. I had little or no opportunity for education but was very religious from a small child, not daring to transgress the will of my parents or do the least thing I thought was wrong. I always attended religious meetings and studied my books by firelight after I had done my work. I bought a sawmill and a lot of land and built a house. My sisters kept house for me until the second day of November 1826, when I married Anna P. Johnson, daughter of Timothy Johnson, Esq. She was born August 7, 1800. In the year 1829 I invented and patented the shingle cutter, or machine, now used for making or cutting shingles throughout the United States and Canada. The patent is dated the 8th day of December 1829, signed "Andrew Jackson, President and Martin Van Buren, Vice-President of the United States." In the fall of 1830 I moved my family to the town of Amherst, Lorain County, state of Ohio. I there became acquainted with the Book of Mormon and the Elders of the Church of Jesus Christ of Latter-day Saints; was baptized into the Church on the first day of June, 1831; and was ordained an Elder of the Church on the 20th of Sept. following and was appointed to preside over the Amherst Branch of the Church, numbering about 100 members. I attended the first October Conference of the Church. It was held in Orange Township, Ohio, in 1831, where I first beheld the face of the Prophet Joseph Smith and heard the words of life from his mouth which filled my heart with joy and thanks to God. In January, 1832, I went on a mission to the state of New York, preaching the Gospel and visiting my father's family in Pomphret. They willingly heard and believed, and my mother and some others were baptized in Pomphret. On my return home I baptized many in and about Amherst and ordained several Elders and Priests. In July, 1833, President Smith counseled me to move to Kirtland and buy out certain obnoxious individuals, [p.224] which I did. I was there when the foundation of the Temple was laid and built a sawmill for its benefit. I helped to organize the Kirtland camp in 1838 and traveled with it as far as Springfield, Illinois; was called by Council to stop there and take care of the sick. I commenced preaching and soon gathered a branch of the Church of forty members over which I presided until January 8, 1839, when the Lord showed me by revelation that I must immediately go to Carthage in Hancock County. I packed up, went with my family, and commenced preaching in Carthage and vicinity; and baptized many and organized a branch of the Church of about fifty members called the Crooked Creek Branch. In February 1840, I purchased a sawmill and a piece of land on Crooked Creek, onto which I moved my family. In July we, as a branch of the Church, were organized into a Stake of Zion, with all of its officers and Quorums. I was ordained High Priest and President of the Stake under the hands of Hyrum Smith. A town was laid out and built up by the Saints. On the 11th day of September, 1840, my wife Anna died and left me with five small children; and on the 20th of October following, I married Susan Bryant. In the winter of 1842, President Smith and Council thought it best to disorganize the Stake on account of a secret organized band of false brethren that had crept in amongst us. I was honorably discharged from further duties as president. On the 13th of November following the martyrdom, I was appointed to preside over a small branch of the Church called the Pleasant Vale Branch. October 24th, 1845, I took to wife, Janet Fife, a Scotch lady. On the 31st day of December myself and wife, Susan, received our endowments in the Lord's House in Nauvoo. On the first day of May, 1846, about 2 o'clock at night I was called to the door by an armed mob of about 100 men who had surrounded my house, and who asked me if I were preparing to leave. I told them that I was. They told me if I was not gone by the first day of June my life would be taken and my property destroyed; after many more threats they left. [p.225] Out of four or five thousand dollars worth of property that I owned in Hancock County, all that I could raise to help me get away was one horse team worth only seventy-five dollars, one yoke of oxen, and a borrowed wagon. On the last day of May, I loaded my family into the wagon leaving everything else behind, and started for Knox County, Illinois, where I had claim on an 80-acre soldier's right of land, and arrived there on the 4th day of June, 1846. While in Knox County the Lord blessed me with means in a wonderful manner so that by the 6th of May, 1848, I was able to start west with three wagons and sufficient teams well-loaded with family possessions, necessaries, provisions, tools, etc. With a few calves and sheep we arrived at Winter Quarters on the Missouri River the first week in June. We tarried four weeks waiting for company, and started on the 5th day of July in Willard Richards' camp, and arrived at Salt Lake the 19th day of October, 1848. I stopped at the mouth of Mill Creek Canyon and was ordained Bishop of Mill Creek Ward, and elected Justice of the Peace and a member of the Legislature of Deseret for 1849 and 1850. In the fall of 1850 I was selected to assist George A. Smith in forming a settlement at Little Salt Lake. I sent with him my two oldest sons, with two teams laden with provisions, seed, farming tools, iron mill saws, etc, and in the spring I went down with stock and several more teams laden with necessaries for the new settlement. At the organization of the city of Parowan, County Court and High Council, I was elected one of the City Councilmen, Selectman, and one of the High Council; and on the 19th day of November, 1851, I was sent by George A. Smith to the Springs, 12 miles south of Parowan to make a fort, myself a farm, and herd the stock for Parowan and Cedar City. The same is still called Fort Johnson. In the fall of 1855 I attended the Second Judicial District Court held at Fillmore, Utah as petit juror. December 10th the Legislature assembly convened or met in the State House at Fillmore and I was elected Chaplain of the House which office I filled during the session. In the spring of 1857 I was called on a mission to the States and started on the 6th day of April, and arrived at Florence on the Missouri River the 18th day of June, and returned to Salt Lake City again on the 5th day of October, 1860. On the 11th of October I went to President Young's office and had Margaret Threbkeld, an English lady, sealed to me by the President, and arrived at my house in Iron County on the 29th of October, being absent from home over three years. My labors were mostly in preaching to the people in Iowa, and presiding at Genoa in Nebraska. September 23, 1882 at Johnson, Kane County, Utah. A winter long remembered. No wonder the winter of 1880 found me well-housed on a bleak, desolate waste near the old Sevier River in Utah. Well-housed we were, in a string of six log cabins freshly daubed with mud and a six-inch covering of earth on the roof. But we were content, for no one in the little town had better. The winters were cold and long, so like the ant and the bee, we were expected to prepare for winter with a well-filled larder. The threshing was done and the golden grain was in the bin, and we were waiting for a lull in fall work to haul the grist to the mill, ten miles away. The power to run the mill was generated from water taken from the river, therefore, all grinding must be done before winter set in. Our butter and cheese were made in the summer and laid away in safe casks for winter use. From Dixie came a barrel of molasses and some sun-dried fruit, for which we had traded lumber, wheat, potatoes, or something raised in the higher altitude. An ox or a cow and two hogs was our meat supply for the winter and well into the spring. The winter of 1879–80 is one long to be remembered by all who lived on the old Sevier. The fall of 1879 found us unprepared for the winter, with three feet of snow covering the ground [p.227] early in November, two months earlier than we had ever known before. Along with this early snow it turned intensely cold, freezing up the gristmill, also most of our vegetable supply. I remember well the jingle of the frozen spuds, as we threw them into the pot to be boiled. Then there was the grind, grind, grind of the coffee mill as we took turns at the crank to make our flour. I was only a boy of ten and I am sure the crank put muscles on my arm. I did some complaining on the side, but my mother consoled me with "Suppose we did not have the mill or grain...."
At the old log schoolhouse we would gather for a drama, a dance, or a spelling contest. All were supposed to take part. The older people staged short plays while the younger ones came out in song or dialogue, and the little tots gave us "Little Robert Reed" or "There Came to My Window one Morning in Spring," or something equally as appropriate. In one end there was a large fireplace where the smoke and the blaze roared up the chimney and the weird light from the pitch pine logs east a glow across the rough pine floor, while the tallow candles on the wall would seem to wink at the characters that would be classed as masqueraders in this day. Our pants and shirts were often bedecked with buckskin, and on our necks was a bandana, loosely tied. Old Chris would saw on his fiddle and we would grab and swing "The Girl I Left Behind Me," who was all dressed up in linsey with a white collar crocheted by mother. The prompter calls, "Balance all" and the hobble-de-hoy boy shakes his hob-nailed shoes before his lass. "Swing," calls the prompter, and around her waist he takes his lady and around and around they go like a new red top. If the muscles of the older people were stiffened, they could limber them up by parading in Money Musk or Upper Gent and Lower Lady; but all must take part as the fiddler was already paid with carrots, spuds, or grain. The lad who would be kind to his partner would dig deep into his pocket for a handful of parched corn or a waxy stick of candy. After the ball we trudged home through deep snow to our warm cabins. Spring came and all nature seemed to take on new life. We had one cow and a yoke of oxen left. The bones of our herd lay bleaching in the warm spring sun. As we took on new life we would try to forget our faithful cow or ox, and with new energy we prepared for another crop. Fifty winters have come and gone since then. One-half of a century has made deep wrinkles on my brow, and frosted my scanty locks, but it seems but a day since I sat in that old cabin home. There were newspapers pasted on the walls, a homemade rag carpet on the floor. In the corner stood an old organ, on its stool sat my mother. She sang as she played, "Be It Ever So Humble, There's No Place Like Home." I have listened to the chimes of the mighty pipe organ; I have sat, with bowed head, [p.228] in temples of stone where the artists of music rehearsed Beethoven's symphonies, but God grant that the echoes of that sweet voice in my rustic home may vibrate against my tombstone till Gabriel's trumpet calls. —Joel H. Johnson, Jr. In July 1838, we started for Missouri in what is known as the Kirtland Camp, consisting of all the poor still remaining at Kirtland, and all who were able and willing to help them. Our company consisted of 515, nearly all in poor circumstances, with sixty wagons. Our trip was a very hard and trying one, we were often without food, and there was much sickness in the camp. At Dayton, Ohio, we stopped for awhile to work on the National Turnpike and give the sick a chance to recover. While here, my mother and my brother, Joel Hills Johnson, and other kindred who lived in that city came to our aid. During our stay here threats were made that we should not pass through Mansfield alive, but when we were ready we started in close procession, the women driving teams and the men walking along side. On nearing the town, we were met by two horsemen who rode down on each side of our columns, seeming to be counting our wagons and forces as they passed along. After satisfying themselves they returned to the town where a large crowd had collected, firing cannons and beating drums and seemed to be much excited, but we passed through and were not molested. We afterward learned that the horsemen had given the crowd assembled a very exaggerated account of our numbers and armament. In Springfield, Illinois, a council was held and it was decided to leave the sick here for the present. My [George Washington Johnson] brothers, Joel, Joseph, and the rest of the family, except Benjamin, were detained to remain with them to take care of the sick. Other sawmills were built by George Wilson and Joel Johnson, and the Buffer Brothers built a shingle mill on Panguitch Creek. Later Elijah Elmer and the Miller Brothers, Allen and Ninian, built a sawmill above the town at the mouth of Panguitch Creek. Enoch—First known as Johnson Springs for Joel Johnson who settled there in 1852. A change of name was required in order to establish a post office and Enoch selected because some of the settlers were living the Order of Enoch. The original boundaries of Millcreek Ward, organized in 1849 with Joel H. Johnson as bishop, were from Twenty-first South to Forty-fifth South and from the Jordan River on the west to the Wasatch Mountains on the east. For several years this ward had the largest membership in the Church, and from it were eventually created eight stakes. Brackenbury, Joseph Blanchett, the first Elder in the Church who died as a martyr in the missionary field, was born Jan. 18, 1788, in Lincolnshire, England, and emigrated to America when quite young. Becoming a convert to "Mormonism", he was baptized and confirmed April 10, 1831, by John Corrill and Solomon Hancock. He was ordained an Elder the day after his baptism and started on a mission in 1831. While filling that mission he died suddenly Jan. 7, 1832, at Pomfret, Chautauqua co., New York, from the effects of poison administered by his enemies. The doctors attempted to dig him up to use his body as a subject for dissection, but were hindered in their intentions by Elder Joel H. Johnson, who was warned in a dream of the matter in progress, and rose from his bed at 11 o'clock at night. Together with his brother David he went to the grave and succeeded in arresting one of the parties while at work with a spade and a hand sledge. The intended grave robber was bound to appear at court, being placed under $1000 bond, but his case never came to trial. 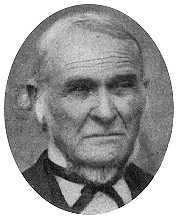 He is first mentioned as an Elder at the June, 1831, conference held at Kirtland, Ohio, and was ordained a High Priest Oct. 25, 1831, by Oliver Cowdery. Johnson, Joel Hills, Bishop of the Mill Creek Ward, Cottonwood Stake, Utah, from 1849 to 1851, was born in Grafton, Mass., and was ordained a Bishop April 8, 1849. He died Sept. 24, 1882. Johnson, Joel Hills, Bishop of the Kanab Ward, Kanab Stake, Utah, from 1890 to 1901, and second counselor in the Kanab Stake presidency from 1901 to 1910, was born Nov. 16, 1860, in Virgin City, Utah, the son of Nephi Johnson and Mandana Merrill. He was baptized when nine years old, moved to Kanab in 1876, and was ordained a Bishop Sept. 21, 1890, by Francis M. Lyman. He died at Salt Lake City Oct. 22, 1924. As a child I often saw the Prophet in the Sunday meetings in the [Kirtland] temple, and also at the house of my father, Joel H. Johnson, but my more distinct recollections begin about 1841, when we lived in Ramus, afterward named Macedonia, about twenty miles from Nauvoo, where father was presiding elder. The Prophet frequently came to our house and sometimes stayed overnight. On one occasion Joseph, with Heber C. Kimball, Jedediah M. Grant and some others from Nauvoo, whose names I do not now remember, partook [page 542] of a Christmas dinner at my father's; and standing at the head of the table, carved the turkey. Fearing that his clothing might accidentally be soiled, my stepmother, Susan Bryant Johnson, tied a long apron upon him. He laughed and said it was well for he did not know what might happen to him. My brother Seth and I were in the room, admiring, in our childish way, him whom we thought the greatest man on earth. [page 1] My father, Patriarch Joel Hills Johnson, was baptized into the Church of Latter Day Saints, June 1, 1831, at the age of 29 years. I was born in Kirtland, Ohio, July 11, 1836, and when two years old our people were driven from Kirtland, and so we started for Missouri with the Kirtland camp. When we reached Springfield, Illinois, there was considerable sickness in the camp. My father's family was among the number compelled or counseled to stay there until all was well. While tarrying there the people were driven out of Missouri, so my father did not go there, but waited in a small town where there was a large family named Merrill. Father baptized Samuel Merrill and several members of his family, among them being Phillemon Merrill, now a Patriarch. We stayed at this place, Father preaching and baptizing until his work was done. Then we went to Carthage, Missouri, where my brother, Seth, was born, March 9, 1839. We lived near the jail where the prophet Joseph Smith and his brother Hyrum were in later days slain and sealed their testimonies to the truth of the Gospel they preached. At this time our family consisted of seven souls. We moved from Carthage to Crooked Creek, to Debberts Mill. Joel Hills Johnson was born at Grafton, Massachusetts, March 23, 1802. He died at Johnson, Utah, 1882. Anna Pixley Johnson, his wife, was born at Canaan, New Hampshire, August 7, 1800. She died, September 15, 1840. They were married at Pomfret, New York, November 2, 1826. Julian was born at Pomfret, New York, October 7, 1827. [page 2] Sixtus Ellis was born at Pomfret, New York, October 8, 1829, died June 4, 1916, Ponerene, Arizona. Sarah Annie was born at Amherst, Ohio, February 18, 1832. Nephi was born at Kirtland, Ohio, December 12, 1833. Susan Ellen was born at Kirtland, Ohio, July 11, 1836. Seth was born at Carthage, Illinois, March 6, 1839. Having bought an interest in the Debberts Mill, the house was built of logs consisting of two rooms connected by a shed room, open to the front. There was where my mother died, September 15, 1840, age 40 years, a kind and indulgent mother, a good faithful Latter Day Saint. She was buried in a cemetery of a small town called Macedonia. Susan Bryant then came to live with us as housekeeper. Father married her, as his children needed a mother's care. Soon after we moved to Ramus. Father built a house there for a family residence. He afterwards built a room on for a store. My Aunt Almira lived with us at that time and taught school. She was sealed to the Prophet Joseph as his first plural wife (not correct). After several years our home was sold to A. [Almon] W. Babbitt who named it the Macedonian Cottage. After a time we went back to the saw mill. One day Seth and I were out playing by the wood-pile, our parents having gone to Hauven. We saw some men marching towards our house. We ran and fastened the door and dived under the bed. They came to the door and knocked on it with a club and said, "Come out or it will be the worse for you." We came and stood in the door, hand in hand and very much frightened; they asked where our parents were. We told them, and they said, [page 3] "Tell your father when he comes home he must leave here immediately or he will lose his life and also his property." When Father returned we told him what the mob had said to us. He said he would make preparations to go as soon as he could. But we were delayed on account of sickness in the family. In the latter part of April we were awakened in the night by an armed mob on horses. They went through their military maneuvers and finally stopped before the door. They called Johnson to come out. Father went to the door partly dressed with my step-mother holding to his hand. They asked why he had not left as he had been told to. He said he had been sick. The mob said they would give him until the fifteenth of May, and "if you are not gone by that time we will burn your house over your head. Now this is the last warning, so you had better leave...for we won't have no d--- Mormons in the country." After talking some time they wheeled around and left the place. My father tried to sell his property to get an outfit to go with. A man came from Knoxlo and offered some land for the mill property which consisted of, a saw mill and some timber land, a log house, a garden spot, and also some land under cultivation, for land at Knoxlo, a good farm under cultivation, and a good house. My father and Uncle Joseph made the exchange, and we went to Macedonia, not into the town, but into the woods. My father fitted out two teams, one yoke of oxen, and one span of old horses with wagons to match. We started on our journey of several hundred miles. We also had three cows, six sheep, that being all our worldly possessions. Just before sun down on Saturday night we went 5 miles and [page 4] camped for the night. In the morning we proceeded on our journey. When we arrived at our destination we found ourselves in a large open prairie until in the following spring when we moved to the ward house. My brother Seth and myself walked 1-1/2 miles to school. During the summer we all had the ague, and no one was able to wait on another. So every morning before the chill came on we prepared for it by drinking composition. We all took quinine and were cured. My step-mother went to Chicago to visit her sister, and my brother Sixtus went with her. It was while she was there that the family were all sick. My Uncle George Johnson went to Nauvoo in February, 1848, and I went with him to live with my grandma who was quite old and feeble. We came near freezing several times. The last night out we went into a log hut, and I was so cold that I shivered all night over the fire. In the morning we went to a house of a family named Beay where we warmed ourselves. In a short time we arrived at the home of A. [Almon] W. Babbitt where my grandma lived with her daughter, Julia, Babbitt's wife. My sister Sariah, having lived with my grandmother for several years, being a young lady, my father thought it best to take her with him to California. On May 8, 1848, my father with his family came to Nauvoo on his way across the plains. The family consisted of eight persons. On the tenth of May they crossed the Mississippi River. I went one day's journey and returned to Nauvoo the next day. It was very hard to see them go and leave me behind, but I felt that it must be, and I must make the best of it. My dear grandmother was good and kind to me, or I could not have borne the parting from brothers and sisters. But I have found that life is not all sunshine. [page 5] One July 4th the Nauvoo temple was hired by some Gentiles for a grand ball and supper at $5.00 per couple. I, only being 12 years of age, wished to go, as I had never been to a ball and thought it would be a fine thing. But when I approached my grandma on the subject, she wept and said, "The temple has been desecrated and will be destroyed." This later proved to be true. In November we were awakened by a bright light. I ran to the window and saw the steeple in flames. The fire must have started in the room below the steeple as there was no light in the lower story until the steeple fell in. At this time we were living in a house built by John Taylor, several streets below the hill. I had many mementos of the fire, but have nothing now. Le Baron and family, David Wilson, William Johnson and wife, and also Uncle Joseph J. Johnson sent a wagon with goods (to) Aunt Delcina and family. We arrived at Council Bluffs on July 11th, my 13th birthday. We then moved to Plum Hollow. We got there in July and remained there during the summer. During the winter I attended school. In the early spring Uncle Joseph and Grandma moved to Kanesville. In June my mother's sister Sarah Johnston came for me to go to California (as Utah was then called). We left Kanesville June 25th and camped by the Missouri River. We waited there several days for more company, and on the 27th crossed the river and found some emigrants waiting for us. There were now 28 wagons with Stephen Markham as Captain. Our company was divided into tens with Artemus Millet as Captain on the first ten, Thomas Forsythe as Captain [page 6] of the second ten. In the morning a woman died with cholera and was buried on the bank of the river. She was a stranger, having just arrived from England on her way to Utah. From that time until the 15th of July some one was buried almost every day. My Aunt Sarah's husband, George G. Johnston, his mother and his sister died July 11th, on my 14th birthday and were buried when we stopped at noon the next day, July 12th. I also had cholera but was healed by the administration of the Elders. When I felt the disease coming on I went into a tent by myself and prayed to the Lord that I might be spared to wait upon the others. I had a testimony (that) I would be spared. There were 14 (who) died in our company. After July had passed there was no more sickness in the camp except a sister Millet who gave birth to a son. (He was named Liberty). We laid over at Ash Hollow for repairs. The next day after we passed Fort Kearney, a soldier who had deserted came to our camp and asked if he might go with us. The Wristen boys took him in, (and) put him to bed with a night cap on. When the soldiers came after him and searched the wagons they only found a sick woman. They said if we only knew his character we would have nothing to do with him which proved true, for he stole the clothing of those who had befriended him. I saw him in Salt Lake City in 1851. He was working on the street with a ball and chain fastened to his leg. One noon while camped at the foot of some steep hills which were covered with ripe choke cherries, I with others went to gather some, intending to overtake the wagons. But on reaching the road, they were entirely out of sight. We followed all the afternoon, and at dark came to the forks of the road. By feeling along the track with our hands [page 7] we found they had gone the river road. We soon found a young man waiting for us on horseback. He knew we were gone and feared that we might get lost. It was 10 o'clock when we reached camp. His name was Andy Kelly. That was the last time I ever wandered away from camp. We traveled up the south side of the Platte River, and came upon a band of Cheyenne Indians who were hunting buffalo for their winter meat. The Indians looked neat and clean, they seemed very friendly. Some of our company bought buffalo robes and moccasins from them. My Uncle George Johnston having died, I traveled with Captain Forsythe, working for them in camp to pay my way. They were very kind to me. I walked many weary miles every day. At night when the ground was smooth enough we would join in a dance to rest our weary feet, or have songs and recitations or plays until called for prayers by Captain Markham. We all went to rest but the guards who were on duty for the night. We passed hundreds of graves. Many an evening we saw thousands of buffalo in herds. We passed Independence Rock. It was probably 200 yards (wide) and 10 or 12 yards high, rising out of the level plain. In the smooth side of the rock were carved or written hundreds of names of those that had passed. One night we camped near a band of Cheyennes. The following day, being rainy, we remained in camp. The Indians, old and young, came into camp trading moccasins and robes. Among the rest was a fine looking young Indian who wanted to buy a squaw. Offering some fine ponies, Andy Kelly asked him who he wanted, and I was pointed out as his choice on account of my dark eyes and rosy cheeks. Kelley finally made a trade for five ponies, a buffalo robe, and the silver ornaments on his [page 8] hair. In the evening he came with his ponies. Kelley told him it was all a joke, that the girl belonged to another family. This made the Indian mad, he said a trade was a trade. Then Captain Markham came and explained to the Indian that Kelley was no good and had no right to do as he had done. The Indian finally went away very indignant. That night there was a high wind which blew down Aunt Sarah's tent. The tent was placed facing our wagon with the back toward a deep ravine full of willows. Aunt Sarah was holding the front tent pole and I the back, while two men were driving stakes at the side. The night was pitch black, lighted at intervals by flashes of lightning. Suddenly I felt strong arms lift me to the back of a pony. I gave a terrified scream. At that instant a flash of lightning revealed the situation to the men who came to my rescue. I slid off the horses's back which the Indian mounted and escaped. He had been hiding in the ravine waiting his chance for revenge, and but for the flash of lightning I would have been carried off. An extra guard was placed for the night, but when morning came everything that was loose, such as frying pans, skillets, and other cooking utensils which had been put under the wagons, had disappeared, leaving the company short of these articles. The band of Cheyennes disappeared also and were seen no more by the company. Platte River. Sometimes the river was quite deep so the teams swam across the river while the wagons were ferried over. At other times the teams were driven over. The women and children were carried over by the men, which made it very hard on the men. I preferred to wade rather than be carried over. I waded. Being of pretty good weight, [page 9] I might have been dropped into the water, as the bottom was quite muddy. When crossing Green River, a son of Captain Markham went hunting for ducks, found a large one in the river, but when he got there it proved to be a bundle of clothing lost by some poor man on his way to California for gold. Many lost their lives in 1850 in search of gold. In coming through Devil's Gate Pass some of our young people went over the hill to see the sights. They said they saw the Devil's Chain and some other curiosities. I did not go. bare-footed, but I never faltered. Many others were in the same condition. We went to Uncle B. F. Johnson's and took dinner. My Aunt Sarah, having married a young man, William Mills, on the way, went with me to my father's home in Big Cottonwood. I found my sister Sarah there, married to John Eager. They had a girl baby six months old. They seemed very happy together in a little one-roomed log house. Soon after, Aunt Sarah and her husband also lived there. My father was called to go with George A. Smith and a company of fifty others to settle Iron County. He fitted out his two oldest sons and sent them down. He prepared to go down in the spring. He sold out his home and farm to Pillemon Merrill for a log house of two rooms in the city, the teams to go with them. In November my step-mother give birth to twins, a boy and a girl. Soon my father was ready to start. He moved his family to Salt Lake City. We heard that George S. Smith and company had arrived at their destination on Christmas Day and held a celebration. In March, 1851, my father took his wife, Janet (five or fife ?) and family to Iron County. My brother Seth, age twelve years, went with them. Here is where I met Mary Knight. We had many good times together, I never had a dearer and nearer friend than Mary. She afterwards married Charles H. Bassett. In July, 1851, my brother Sixtus came back from Iron County after Mrs Edith Merrill. They were married July 13th, and left for their new home the next day. In March my step-mother's twin girl died. My father attended the funeral the day before he started for Iron county, April 1851. I attended school taught by Mrs. A. H. Goodrich Blair, a lovely woman and a good teacher. When my brother came to get married, Father sent word that he was to sell our home and get ready to move to Iron County by September 1st, which we did in company with Peter Shirts and family. Darwin Shirts drove our team of oxen. The next day we came up to the rest of our company of three families with plenty of boys and girls to make it pleasant at camping time. We would forget all about being tired and have a good time together. After a trip of two weeks we reached Parawan, Utah, our destination. My father's name is Joel H. Johnson. The Prophet used to come to our home before I can remember. We moved from Kirtland the winter that the Saints were driven from Missouri and settled at Carthage, Illinois. I was born in Kirtland, Lake County, Ohio, 12 December 1836. My father's name was Joel H. Johnson. My mother's name was Anna P. Johnson. At the time of my birth, the Church of Jesus Christ of Latter-day Saints was building the temple at Kirtland. My father, being an elder in the Church, was very busy assisting getting the material together to build a sawmill nearby to saw lumber for the temple. The first thing I can remember was going to the sawmill to watch my father saw lumber. We lived there until the spring of 1838 when my father took his family and started with the Kirtland camp for Missouri. He went with them as far as Springfield, Illinois, where he was left to take care of the sick. There was quite a number in the camp who were not able to continue on with the company. He stayed there till the spring of 1839 then he moved to Carthage, Hancock County, Illinois. It was there I first saw the Prophet Joseph Smith. He came with his brother, Hyrum, and stayed at my father's house one day, and then went to Commerce, afterward on to Nauvoo on the Mississippi River. My father began preaching the gospel near there and soon baptized the Merrill and Perkins families. In the meantime he bought a sawmill on Crooked Creek. He furnished some of the lumber for the jail they were building. Afterwards the mob killed Joseph and Hyrum at the jail. My mother died while we were living at the sawmill, the 11th of September, 1840. A short time after my mother's death, a town was laid out and called Perkins Settlement or Ramas [Ramus], afterwards Macedonia. A branch of the Church was organized, my father was called to preside. We moved from the sawmill into the town, lived there till 1844. Soon after Joseph and Hyrum were murdered, we moved five miles north on a farm, lived there a while then moved back to Ramas, lived there till 1846. My father traded his property for some land in Knot [Knox?] County, Illinois. We had to leave our old home in a hurry to keep the mob from running us out as they had many of the Saints. We worked hard and got us an outfit to follow the Church to the West. In the spring of 1848, we arrived at Council Bluffs. We stayed there about a month. We left there on the 4th of July in Franklin D. Richards' company for the West. My father took a small herd of sheep with him. I think they were the first sheep driven to Utah. I saw some Omaha Indians at Winter Quarters. They were the first Indians I ever saw. While we were on the Platte River about 250 miles from the Missouri River, I was ahead of the company about one mile driving the sheep, [and] a war party of Sioux Indians came up to me. When I saw them I thought maybe they would kill me, but I knew I could not get away, so I waited [page 1] for them to come up to me. They were very friendly. The chief took me on his horse behind him and went back to the company, who gave the Indians some presents. The Indians went on their way, feeling all right. Being ahead of the company driving sheep, I killed several buffalo. Though I was only 14, the company praised me for being a hunter. My oldest brother, Sixtus, killed lots of game along the road. We arrived at Salt Lake Valley the 19th of October, 1848. At that time there wasn't a house on the land where Salt Lake City now stands except the fort which was built in 1847. My father bought some claims and a little log cabin that some parties had built at the mouth of the Mill Creek Canyon, south of Salt Lake City. When winter came, Father traded his sheep to Brigham Young; he was afraid he could not feed them during the winter. My brother Sixtus and myself worked in the canyon most of the winter getting our logs to build some cabins and poles to make fences with in the spring. In the spring of 1849 my father bought some land in the Big Cottonwood about three miles from where they were living. We hauled the logs and poles we cut onto the land and built a house. We fenced our land and started a good farm. In the spring of 1849, the Mill Creek Ward was organized. They set my father apart as bishop with Reuben Miller as first counselor and Leonard Harrington as second counselor. We moved into our new place in the fall of 1849. In the spring of 1850, we took out a ditch from Cottonwood to get the water on our farm. That summer Father went in partners with Archibald Gardner to build a gristmill on the Jordan River about two miles from where we lived. Father was there most of the summer. My brother, Sixtus, Seth and myself raised a good crop on the farm. I forgot to say that myself and brothers attended school about four months during the winter of 1849. In the spring of 1850, my father was called to go with President George A. Smith to make a settlement in southern Utah, and on the 12th of December, 1850, my brother, Sixtus, and myself started with two wagon teams and outfits. We left on my 17th birthday. Father had to wait till he could get his business settled up. After a cold and stormy trip, we arrived at the place where Parowan now stands. On the 13th of January, 1851, after we were located, we made a road into the canyon, built a fort to live in, took the water out on our land, fenced a field and raised grain enough to last us until the next year. In the summer of 1851 Father came down and brought the family with him. The next spring Father took the stock herd for the people of Parowan. Cedar City was also located that year by Henry Lunt and others. We took care of all the loose stock of both settlements. We located six miles north of Cedar City at a place afterwards called Johnson's Springs. My father built more houses at the springs and corrals for the cattle, for we were still taking care of the cattle for the people of Cedar City and Parowan. It was in the year 1854 that my father wrote the hymn "High on the Mountain Top." In the year 1829, Grandfather Joel Hills Johnson invented and patented the shingle cutter machine for making or cutting shingles used for many, many years throughout the United States and Canada. The patent is dated the 8th of December 1829, and is signed by Andrew Jackson, President, and by Martin Van Buren Vice-President of the United States. . . . Grandfather Joel Hills Johnson helped to organize the Kirtland Camp in 1838, traveling with it as far as Springfield, Illinois, remaining there by call to take care of the sick. He commenced preaching there and soon assembled a branch of the Mormon Church numbering forty members over which he presided until January 8th, 1839, going from there directly to Carthage, Hancock County, following what to him was a direct revelation. Reaching Carthage, he at once began preaching in that vicinity, baptizing many and organizing a branch of the Church of about fifty members known as the Crooked Creek Branch. Dear brethren, realizing that all the faithful are wishing to hear from the Elders abroad, and to know how the work or pruning the vineyard, progresses in these last days; I have thought proper to give you a short sketch of my, labors since the 6th of July, 1838: for on that day I started from Kirtland, Ohio, with my family in company with the camp of saints (called the Kirtland camp) numbering in all women and children five hundred and fifteen souls fifty eight teams, a large number of cows &c. This company consisted principally of the poor saints of Kirtland with the sick, lame, blind and all that could not move without assistance. -- We had a fine journey to Dayton Ohio, when we stopped and labored four weeks on the turnpike then resumed our journey and arrived at springfield, (the seat of government for Illinois) Sep. the 15th, and finding that several in the camp were sick with fevers, the Council thought best for me to stop and take care of them which I accordingly did by renting a house and taking them into it and making other necessary provisions for their comfort. I then commenced preaching in Springfield in my own hired house, but the prejudice of the people (on account of the difficulties at Far West) were so great that they generally would not hear, but a few were enquiring. When many of the brethren who were coming from the east heard that I was in Springfield, they turned thither and stopped also and I soon organized them into a branch of the church called the Springfield branch over which I was appointed to preside, after which we held our meetings in the Campbellite meeting house I continued preaching in Springfield and its vicinity until January 8th, 1839, the church at this time numbering about forty members in good standing. I then removed my family to Carthage Hancock Co. Ill. in the vicinity of Crooked Creek; and in April I baptized several and organized a branch of the church called the crooked Creek branch over which I was chosen to preside, which I have endeavored to do, preaching to the church and in other places until the present time having had many calls for preaching which I could not attend to on account of my ill health and indigent circumstances. I have baptized and confirmed in this vicinity fifteen members, and Br. John E. Page has baptized several, and James Carle two: this branch numbers about fifty members in good standing and many more appear to be believing whom I hope will soon become Abrahams' seed and heirs according to the promise, by being baptized for the remission of their sins. By having a new birth. From your fellow laborer in the gospel of Jesus Christ. -On Crooked Creak, near Fountaingreen, of Nervous Fever on the 18th Inst Sister Anna P. Johnson, Consort of elder Joel H. Johnson, aged 40 years, one month. and four days. -- Sister Johnson embraced the gospel in May 1831 at Amherst Ohio, and has ever manifested an unshaken confidence in the same, both by word and deed. She was a kind and attentive companion, and a tender and affectionate mother. She died rejoicing in the hope of a glorious resurrection among the just. RAMUS, is situated in the midst of a beautiful and fertile country, surrounded by a variety of prairie and timber land, the soil rich and productive. There are several saw, and grist mills, with other machineries within a few miles. Within the precincts of Ramus, as also in the adjacent country, there are wild lands, cultivated farms, mills, machineries, &c., which can be purchased on very reasonable terms. Within short distances are creeks with privileges for erecting mills, machinery &c. Those wishing to purchase and settle on town lots can be accommodated. Ramus, is situated 50 miles west of Beardstown, 3 miles north east of Carthage, the county seat of Hancock Co., 20 miles east of Nauvoo. It is undoubtedly as healthy a situation as can be located in the western country. Therefore those of our brethren emigrating from the east who feel disposed to visit Ramus, will find it not inconvenient to call, as it is situated on the road leading from Springfield Ill. through Beardstown in Nauvoo. May the work of the Lord prosper and roll forth unto its final completion, and the Saints be preserved blameless unto the coming of the Lord, is the prayer of the Saints in this place. Why do the Heathen rage, and the people imagine a vain thing, the rulers take counsel together, against the Lord, and against his anointed. He that sitteth in the heavens shall laugh; the Lord shall have them in derision. And break them with a rod of iron; and dash them in pieces like a potters vessel. DAVID. "Why do the Heathen rage!" And drive them far away. No shelter from the blast. Their firesides have to leave. Still seek them to destroy. And what he does reveal. Like saints in ancient days. To kill and drive the saints? But hear thou their complaints! The earth be filled with peace. Thou woulds't for them engage. And make thy people bles't. Having just returned from a most interesting meeting, where baptizing was attended to, and while the curtains of night are drawn around me and I am seated in the friendly family circle with some beloved brethren, although it is snowing quite fast and is very cold, especially considering the season of the year, while musing and meditating on the past, a thought suggested itself, that, probably, a few lines from me would not be uninteresting to the readers of your most valuable paper. -- During last summer and fall elders Joel Johnson and Oliver Granger visited this neighborhood and preached a number of times. They baptized none in this town, but elder J. preached also, in the town north of this and baptized three or four. The following is a list of the delinquent lands and city lots in the third ward in the city of Nauvoo, for the year 1843. Br. Joel Johnson said that he had professed religion for a number of years, also felt to bear testimony of the goodness of God, and to consecrate all to the Lord. Joel H. Johnson sold one of his oxen for ten dollars, the other came up with the camp. Sunday, August 19.--As usual a large congregation met With us and gave good attention to the services of the day. Elder Joel H. Johnson, by the request of Elders Young and Harriman, who presided, preached on the first principles of the Gospel from Galatians i, in the forenoon. In the afternoon the sacrament was administered agreeable to the commandments of the Lord. A charge was then preferred against Thomas S. Edwards for assault and battery, with evidence that a warrant was issued for his apprehension, and against William W. Edwards for being accessory to the same. Unanimously resolved, that Thomas S. Edwards also be expelled from the Church; and that the proceedings of this meeting be published in the Times and Seasons. JOEL H. JOHNSON, President. JOSEPH E. JOHNSON, Church Recorder. Elder Joseph B. Brackenbury died at Pomfret from the effects of poison secretly administered to him by opposers, who afterwards boasted that Mormon elders had not faith enough to stand poison. The night after his burial there was a heavy snowstorm, about half past eleven o'clock Joel H. Johnson dreamed that some persons were digging up Brother Brackenbury's body, and was so exercised about it that he called up some of the brethren and went to the spot, about one mile distant, and found a party of doctors at work, who had nearly cleared the grave of earth; the men fled with utmost precipitation. David Johnson took after the largest one who was caught and bound over in one thousand dollar bonds for his appearance at court, but was never tried. Mother Smith takes her husband's death very hard. Joel Johnson has got his second wife Susan Bryant. you will discover that I am not very systematic in my composition, and I wish you to pass it by as an error common to all, I shall not say much about your family, as I presume your wife will write by the same person. Sunday, 19th. Elder Joel Johnson preached to the camp in the morning, and the sacrament was administered in the afternoon by Elders Johnson and Hale. I employ several Piede Indians to assist in tending the herd and doing chores about the house which I find as faithful to their trust as any white man I ever employed. The Piedes are a different race from the Utahs, who are lazy, insolent and thievish, while many of the Piedes are honest, faithful and industrious. When employed and fed by the Whites they are a great help to the farmers, for many of them will do as much work as most any white man in a day and can be hired for their board and some small present, by way of old clothing. I always feed them when they call on me. I have fed as many as thirty strange Piedes at a time and afterwards, when I would be away from home and any of them would find me, they would catch me by the hand or arm and give it a hearty shake explaining to their Comrades, 'Kearshn, (the name by which I am known among them) Towich a Wino, (very good).' They are a great benefit to me in herding, clearing land, putting in and securing crops, etc. Another of the very early sawmills was built about six miles northeast of Virgin by Joel H. Johnson. It was in good running order between 1858 and 1862. It had a wooden water wheel and would saw up and down by water power. It took only one man to operate it. This mill was finally shut down prior to 1873, when, under the direction of the church, three circular saws were taken out to Mr. Trumbull to saw out lumber for the St. George Temple. After the closing of the Johnson mill, people in that locality became very discouraged because of the great distance they had to go for lumber. During one of Brigham Young's visits, they informed him of the seriousness of the situation and he answered them, prophetically, "... Lumber will soar down from these cliffs like an eagle." It was many years, however, before his promise was fulfilled but many people who heard this statement witnessed just that very thing when a cable was installed at the rim of Cable Mountain in Zion Canyon and brought to the floor of the canyon for the purpose of supplying lumber to those people. The idea was conceived by David Flanigan and the cable was in constant use for years, being the means of getting many hundreds of thousands of feet of lumber off those mountains. The cable had a single span of about 2,600 feet and was considered for years one of the most interesting historical relics in Washington county. As years went on and decay destroyed the timbers supporting the cable, it was thought wise to do away with it. However, a lumber mill is still in operation on the same mountains, being operated and owned by David Lemon. Since the large tunnel was built during the construction of the Zion-Mt. Carmel Highway, the lumber can be trucked directly from the mill. Enoch, Iron County. Was settled in 1851 and received its present name in 1884 because some of the settlers were living under the "Order of Enoch" (the United Order). It was first called Elk Horn Springs, and later renamed Johnson's Settlement for Joel E. Johnson, early settler. This issue also carries a report from Harpers, an editorial by Joel E. Johnson, and this is very interesting. We'll dig and prune by Science and by sense. I was the son of a pioneer. Generations back my father's father's father plowed with ox teams the fertile streets of Chicago and farmed them. No wonder the winter of 1880 found me well housed on a bleak desolate waste near the old Sevier River in Utah. Well housed we were, in a string of six log cabins freshly daubed with mud and a six-inch covering of earth on the roof. But we were content, for no one in the little town had better. The winters were cold and long, so like the ant and the bee, we were expected to prepare for winter with well filled larder. The threshing was done and the golden grain was in the bin and we were waiting for a lull in fall work, to haul the grist to the mill, ten miles away. The power to run the mill was generated from water taken from the river, therefore all grinding must be done before winter set in. Our butter and cheese was made in the summer and laid away in safe casks for winter use. From Dixie came a barrel of molasses and some sun-dried fruit, for which we had traded lumber, wheat, potatoes, or something raised in the higher altitude. An ox or a cow and two hogs was our meat supply for the winter and well into the spring. The family consisted of something like fifteen in number and each member was expected to have a daily task to perform. The winter of 1879-80 is one long to be remembered by all who lived on the old Sevier. As the fall of '79 found us unprepared for the winter, with 3 feet of snow covering the ground early in November, two months earlier than we had ever known before. Along with this early snow, it turned intensely cold, freezing up the grist mill, also most of our vegetable supply. I remember well the jingle of the frozen spuds as we threw them in the pot to be boiled. Then there was the grind, grind, grind of the coffee mill as we took turns at the crank to make our flour. I was only a boy of ten and I am sure that the crank put muscles in my arm. I did some complaining on the side, but my mother consoled me with "Suppose we did not have the mill or grain." We had our barrel of molasses, so our chaff laden bread was made sweet with a gentle swab, or perhaps the chaffy gems were bedecked with freshly made gravy flavored from the home-cured bacon. In those days we ate to live. From a diet of frozen potatoes, bacon grease, and boiled wheat we were brawny and life was sweet. At the old log schoolhouse we would gather for a drama, a dance, or a spelling contest. All were supposed to take part. The older people staged short plays while the younger ones came out in song or dialogue and the little tots gave us "Little Robert Reed" or "There Came to My Window One Morning in Spring," or something equally as appropriate. At the spelling contest two leaders were chosen and they would choose their sides and the contest began. The side that spelled the most words correctly was the winner. The same old log schoolhouse was used for church as well as the dance. In one end there was a large fireplace where the smoke and blaze roared up the chimney and the weird light from the pitch pine logs cast a glow across the rough pine floor, while the tallow candles on the wall would seem to wink at the characters that would be classed as masqueraders in this day. Our pants and shirts were often bedecked with buckskin, and on our necks was a bandana, loosely tied. Old Criss would saw on his fiddle and we would grab and swing "The Girl I Left Behind Me," who was all dressed up in linsey with a white collar crocheted by mother. The prompter calls "Balance All" and the hobble-de-hoy lad shakes his hob-nailed shoes before his lass. "Swing," calls the prompter, and around her waist with a bearish hug he takes his lady and around and round they go like a new red top. If the muscles of the older people were stiffened with toil they could limber them up by parading in the Money Musk, or Upper Gent and Lower Lady. But all must take part, as the fiddler was already paid with carrots, spuds, or grain. The lad that would be kind to his partner would dig deep into his pocket for a handful of parched corn or a waxy stick of molasses candy. This treat may have had a sweaty taste; I think it did, but in those days we digested germs and microbes as readily as we did frozen potatoes or the shin bone of our old work-ox. After the ball we trudged through deep snow to our warm cabins. Night and morning on bended knees our Father would pray, "Give us this day our daily bread," but before the stars quit shining in the morning you could hear the grist passing through the coffee mill. Yes, God gave it to us, but it was in a rough form. We were pioneers and our backs were fitted for the burden. Spring came and all nature seemed to take on new life. We had one cow and yoke of oxen left. The bones of our herd lay bleaching in the warm spring sun. As we took on new life we would try to forget our faithful cow or ox, and with new energy we prepared for another crop. Fifty winters have come and gone since then. One-half of a century has made deep wrinkles on my brow, and frosted my scanty locks, but it seems but a day since I sat in that old cabin home. There were newspapers pasted on the walls, a home-made rag carpet on the floor. In the corner stood an old organ, on its stool sat my mother. She sang as she played, "Be It Ever So Humble, There's No Place Like Home." I have listened to the chimes of the mighty pipe organ; I have sat, with bowed head, in temples of stone where the artists of music rehearsed Beethoven's symphonies, but God grant that the echoes of that sweet voice in my rustic home may vibrate against my tombstone till Gabriel's trumpet calls. Away out where the majestic vermillion pinnacle of Bryce Canyon points to the stars—where the flood waters have dug deep arroyas on its way to the Silver Colorado—where the upheavals of nature have tipped the mountain tops—in a rough and rugged land where the Cliff Dweller lived and died—there are two graves. The place is desolate and the sun and wind blown sand wither the fresh laid flowers, but They, Father and Mother, loved the spot because it was new. THE LAND OF THE PIONEER.—Joel H. Johnson. "The pinching life of the pioneer made Richard very careful of his means and his expenditures. He came to the store one day and asked Joel Johnson for a cheap door lock. Joel put down a half dozen locks on the counter. Brother Robinson looked them over and said, 'Haven't you one with a white knob, Joel?' Joel burst out laughing and said, 'What's the difference, Bishop, whether it's white [p.404] or black, if it opens the door and is only costing you thirty-five cents ?' Brother Robinson tucked his money back in his vest pocket and replied, 'Well, I'll go down to Bowman's and see if they have one with a white knob, for if I should break it, it would make a good nest egg for the old hen to lay to,' and he left to find a door knob with a white handle." On many occasions the Indians were employed by the Mormon settlers and paid for their work. Joel H. Johnson writing to the Deseret News from Elk Horn Springs in Iron County, January 25, 1853 said he had employed seven Piede Indians to assist in tending the herd and doing chores about the house. He testified they were faithful to their trust. Things looked dark for me [Johanne Bolette (Lette) Dalley], but I succeeded in securing a room from a lady who took care of me during my confinement, a Mrs. Elsworth. When my little daughter, whom I named Eliza, was three weeks old, I knew I must get work somewhere. I did not know which way to turn, nor what to do. No one wanted a woman with a baby to tend. A man named Joel H. Johnson, a relative of Sister Babbitt, was leaving Salt Lake City for Fort Johnson near Cedar Fort, Iron County. He wanted to marry me but I couldn't consent. He promised to take me south with him and if I did not want to marry him when we became better acquainted, he would take me to Sanpete where my Uncle John Larsen had gone. We started; there were other teams in the company, but just myself and baby with him in his wagon. I couldn't talk to him because I couldn't talk much English, and more than that, had no desire to talk to him. I never would have consented to ride with him had I not been in such desperate circumstances. On January 23, 1871, I was in the home of Brigham Young in St. George. President Young suggested that the Johnson family take over what was called Spring Canyon Ranch twelve miles north of Kanab for a stock ranch. I started for home and arrived late in the evening having previously made arrangements to meet my brothers and some others at Virgin City on our way out to look at the ranch. Accordingly we went and found a beautiful canyon half a mile wide and several miles long covered with grass, with small springs coming out at the foot of the bluffs on each side and plenty of building rock and fire wood. The family began moving into the area in March. As Johnson became very productive and other families moved in, the place soon became a town. A brick schoolhouse was built. It was also used for church as well as social gatherings. From the time of the settlement until August 7, 1877, Sixtus Ellis Johnson, son of Joel Hills Johnson, presided over the branch. He was later made bishop. By June 1901, only a few families remained in Johnson, and in 1959 only a few ranches were scattered through the canyon. Bellevue—Known as the gateway to the south, this community was famous in the early days as the "Great Campground." It was a day's traveling distance from Cedar City or the southern settlements. An early school was held by Joel Johnson in his own home, with James C. Snow as teacher. In the spring of 1815, my father came and took me to Pomphret, Chautauqua County, New York, where I lived until I was twenty-one years of age, March 23, 1823. I had little or no opportunity for education, but was very religious from a small child, not daring to transgress the will of my parents, or to do the least thing I thought to be wrong. I always attended religious meetings and studied my books by firelight, after I had done my work. I bought a sawmill, and a lot of land and built a house, and my sisters kept house for me until November 2, 1826, when I married Miss Anna P. Johnson, daughter of Timothy Johnson, Esq. She was born August 7, 1800. In the year 1829, I invented and patented a shingle cutter or machine used for rooking or cutting shingles throughout the United States and Canada. The patent is dated December 8, 1829, and signed by Andrew Jackson, president, and Martin Van Buren, Vice President of the United States. In the fall of 1830, I moved my family to the town of Amherst, Ohio. There I became acquainted with the Book of Mormon and elders of The Church of Jesus Christ of Latter-day Saints, and was baptized into the Church on the first day of June 1831, and was ordained an elder on September 20, following. I was then appointed to preside over the Amherst Branch which numbered about one hundred members. I attended the first October conference of the Church which was held in Orange Township, Ohio, in 1831. It was here I first beheld the face of the Prophet Joseph and heard the words of life from his mouth, which filled my heart with joy and thanks to God. I was there when the foundation of the temple was laid, and I built a sawmill for its benefit. I was present at the calling and ordination of the first Twelve Apostles. Also at the calling and ordination of all the different quorums of the Church. I attended the dedication of the Lord's House on the 27th of March, 1836, and all the meetings and councils that followed. I saw and heard the power of God manifested as mentioned in the life of Joseph Smith and was chosen a member of the Quorum of Seventies; went on several missions, etc. In February 1840, I purchased a sawmill and a piece of land on Crooked Creek onto which I moved my family. In July we, as a branch of the Church, were organized into a stake of Zion with all of its officers and quorums. I was ordained high priest and president of the stake under the hands of Hyrum Smith. A town was laid out and built up by the Saints. On September 11, 1840, my wife Anna died and left me with five small children. On October 20 following, I married Susan Bryant. In the winter of 1842, President Smith and the council thought best to disorganize the stake because of a secretly organized band of false brethren who had crept in amongst us, and I was honorably discharged from further duties as president. I was eight miles from Carthage on the memorable June 27, 1844, when Hyrum and Joseph Smith were slain in Carthage Jail. On the 13th of November following, I was appointed to preside over a small branch of the Church called the Pleasant Vale Brach. October 25, 1845, I took to wife Miss Janet Fife, a Scottish lady. On December 31, my wife Susan and I received our endowments in the Lord's House in Nauvoo. May 1, 1846, about two o'clock at night, I was called to the door by an armed mob of about one hundred men, who had surrounded my house and asked me if I were preparing to leave. I told them that I was. They told me that if I was not gone by the first day of June, my life would be taken and my property destroyed. After more threats they went away. Out of four or five thousand dollars' worth of property that I owned in Hancock County, all that I could raise to help me away was one horse team worth only seventy-five dollars, one yoke of oxen and a borrowed wagon. On the last day of May, I loaded my family into the wagon, leaving everything else behind, and started for Knox County, Illinois, where I had claims on an eighty-acre soldier-right-of-land. We arrived there on the 4th day of June, 1846. While in Knox County the Lord blessed me with means in a wonderful manner, so that by the 6th day of May, 1848, I was able to start for Salt Lake Valley with three wagons and sufficient teams well loaded with family necessities, provisions, tools etc. With a few calves and sheep, we arrived at Winter Quarters on the Missouri River the first week in June. We tarried four weeks waiting for company, and started on July 5th in Willard Richard's camp. We arrived in the Valley on October 19, 1848. I stopped at the mouth of Mill Creek Canyon and was ordained bishop of Mill Creek Ward, and elected justice of the peace and member of the legislature of Deseret for 1849 and 1850. In the fall of 1850, I was elected to assist George A. Smith in forming a settlement at Little Salt Lake, now Parowan, Iron County, Utah. I sent with Brother Smith my two oldest sons with two teams laden with provisions: seed, farming tools, iron mill saws, etc. In the spring I went down with stock and several more teams laden with necessaries for a new settlement. At the organization of the city of Parowan, county court and high council, I was elected a member of the city council, selectman and one of the high council. November 19, 1851, I was sent by George A. Smith to the spring twelve miles south of Parowan and near Cedar City. The same is still called Fort Johnson. In the fall of 1855, I attended the Second Judicial District Court at Fillmore, Utah, as petty juror. December 10 the legislature assembly convened in the State House at Fillmore and I was elected chaplain of the House, which office I filled during the session. In the spring of 1857, I was called on a mission to the States, started April 6, and arrived at Florence June 13, returning to Salt Lake City again October 5, 1860. On the 11th I went President Young's office and had Miss Margaret Threlkeld, an English lady, sealed to me by the President. We arrived home in Iron County October 29, I being absent from home over three years. My labors were mostly in preaching to the people over Iowa, and presiding at the Genoa Branch in Nebraska. Most of the hymns in this volume have been written under very trying circumstances. The spirit that indited them would sometimes rest so powerfully upon the author that his sleep would depart from him. At these times, the words of John the Revelator, when on the Isle of Patmos, would often be impressed on his mind—"and he said unto me, write." In this book he has sought, in all simplicity, to teach the pure principles of the Gospel of Jesus Christ. It is his testimony, last of all, to the sons and daughters of Zion, and to the world, of the fulness of the Gospel of Christ, and of the building up of Zion in these latter-days through the ministrations of the Prophet Joseph Smith, Jun. The words of the book are true and faithful, being dictated by the Holy Spirit of Promise, and they will all be fulfilled. I humbly dedicate this book to the youth of Zion. And bless each passing hour. In worlds of light and love. Joel H. Johnson moved his family from Bellevue to to Johnson in October 1880. He died there in the eighty-second year of his life, 1882. He was the father of twenty-four children and his three oldest sons were ordained patriarchs, as he had been. Joel Hills Johnson, another great colonizer, was born January 12, 1802, at Uxbridge, Massachusetts. As a boy he lived in Vermont, Kentucky, and New York. He invented and patented a machine for cutting shingles that was used throughout the United States. In the fall of 1830 he moved his family to Amherst, Ohio, where he met some elders of the LDS Church. Joel was baptized in June, 1831. He was a special friend of the Prophet Joseph Smith and was with him when the Word of Wisdom was revealed. Joel came to Utah in October, 1848, and located at the north of Millcreek Canyon, where he served as bishop of that ward, as justice of the peace, and as a member of the legislature of the State of Deseret in 1848-50. He was called to the Iron County Mission in the fall of 1850, and sent his two older sons with outfits loaded with farming tools, seeds, and an iron mill saw. Joel Johnson came in the spring of 1851 with his family and cattle. He went farther southwest with a group that was exploring the country, and when they came to the green, grassy meadows at what was to become Enoch, he put out his arms and said, "Mine, all mine." In the summer of 1851 Joel was called by George A. Smith to take his family to a nearby area and build a big stockade to help take care of the cattle from both Parowan and Cedar. It was and Cedar to the protection of the forts. They returned to Johnson's Spring the last of May, 1854. In the summer of 1852, James Dalley and his wife, Emma Wright, William Dalley and wife, Mandana Hillman, Labon Morrell and wife, Permelia H. Drury, left Council Bluffs by ox team in Daniel McArthur's company and arrived in Utah October 24, 1852. The Dalley brothers settled in Pleasant Grove and Labon Morrell in Springville. President Young called Labon Morrell to the Iron County Mission and he persuaded him to call the Dalley brothers. Afar arriving in Cedar City in 1854, they were sent to help build the fort at Johnson's Spring. Thomas P Smith and James W. Bay were also called to help erect the fort. Other settlers came later in 1854 and helped in the building of the fort. It was built about one-quarter mile west of the bench where Joel H. Johnson first settled. Susan Ellen Johnson, Autobiography, typescript, BYU. Grammar has been standardized.